Paris Saint-Germain are interested in joining the queue for Chelsea forward Willian next summer with the Blues still way apart in their negotiations with the player’s representatives over a new deal. The winger is yet to commit his future to the Stamford Bridge outfit with a little more than a year remaining on his current deal. Willian’s contract at Chelsea expires in the summer of 2020 and at 30 years old, he is not expecting to be given more than a one-year deal to remain at the club. 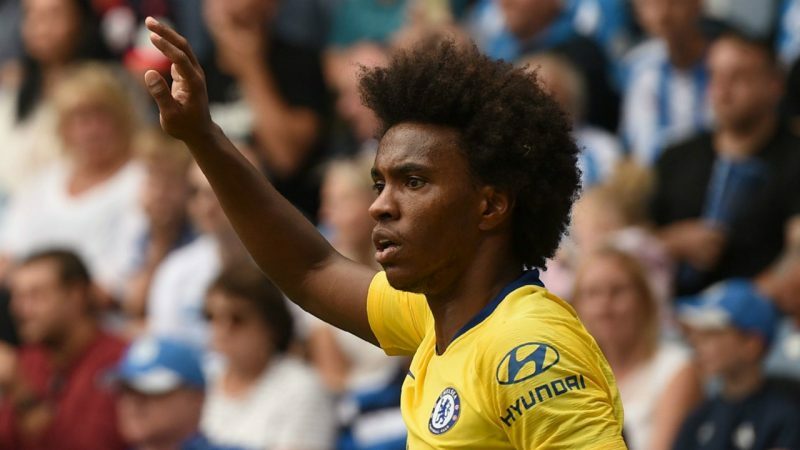 That policy has forced a few players out, with the latest being Cesc Fabregas who joined AS Monaco in the January transfer window and now PSG are alerted to Willian’s situation according to a report by TeamTalk. The Sun says the Brazil international is only interested in a three-year deal but Chelsea will offer a one-year renewable contract. The Sun goes on to say Chelsea could lose one of the club’s best players should they insist on making him sign the deal on offer. Could Chelsea sign a second Bundesliga star this summer?